K Rend is the UK's largest independent pre-mixed silicone render manufacturer. For 20 years K Rend has offered a high quality extensive range of silicone renders and finishes, designed to give a durable weatherproof coating and a natural finish. 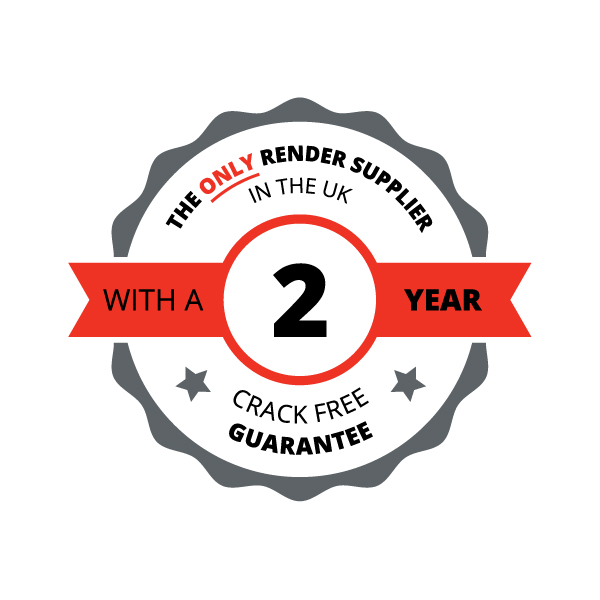 Market leading K Rend are the only UK manufacturer to incorporate in-house innovative silicone technology & are one of the first render manufacturers to have achieved the prestigious Kitemark license assuring you that vital quality, product safety and performance requirements are met. Can be used for building coarse stonework or for plastering and dubbing out irregular backgrounds. Non Stocked, Factory Ordered. Please Allow 3-10 Days For Delivery. Designed for pointing, building dressed stone at a nominal joint thickness of 4-6mm. Can also be used internally. Non Stocked, Factory Ordered. Please Allow 3-10 Days For Delivery. K Lime SB1 is a Natural Hydraulic Lime based preparatory key coat which is used to improve the adhesion of K Lime renders to difficult substrates such as natural stone and brickwork. The product only requires the addition of water and thorough mixing prior to use. The product is designed to be used as a stipple coat as described in EN 13914-1 and is manufactured to ISO 9001. K Lime SB1 is a blend of Natural Hydraulic Lime, carefully selected white limestone sand and other performance enhancing additives, derived from natural sources. · Can be used as a preparatory coat to combat problems due to insufficient key or poor suction. · Helps provide suction control across a range of backgrounds. · It is applied using a hawk and trowel, scrubbed into the surface and immediately textured to leave a rough stipple finish. Subsequent render coats may be applied when K Lime SB1 has dried. Please all 3-10 days for delivery. Can be used for pointing, building bricks, blocks, cutstone, and plastering at 8-10mm thickness. Setting 213 can be wood floated ready for painting or even used as bedding for natural stone floor tiles! Non Stocked, Factory Ordered. Please Allow 3-10 Days For Delivery. K Rend Accelerator to reduce drying time before scraping. Usually Stocked For Next Day Delivery, Allow 3-10 Days For Backorders. Click "More Details" to see current stock levels. Algae Clean removes algae, mildew, fungus, and lichen. Usually Stocked For Next Day Delivery, Allow 3-10 Days For Backorders. Click "More Details" to see current stock levels. Brick effect render. Non Stocked, Factory Ordered. Please Allow 3-10 Days For Delivery. Genuine K Rend reinforcing mesh which provides high strength, good cohesion, excellent coating and is widely used to reinforce walls, as well as provide heat insulation for exterior walls. It can also be used to reinforce cement and plastic making it an ideal construction material. Beware of cheap imitations! This product is usually stocked for next day delivery, allow 3-8 days for dispatch when not in stock. K Mix GP Mortar is a general purpose mortar designed for laying blocks or bricks. It can also be used as a scratch coat plaster for internal and external work, as a bedding for pavia and as a rubbed up finish suitable for external painting. This product is usually stocked for next day delivery, allow 3-8 days for dispatch when not in stock. K Rend HP12 is a high polymer base coat designed to provide enhanced performance on difficult substrates. This cost effective solution is also used for its flexibility and high tensile strength on thin coat systems. It has increased water resistance and adhesion. It may be applied by hand or spray and the use of scrim cloth may be required. This product is usually stocked for next day delivery, allow 3-8 days for dispatch when not in stock. K Rend HP14 base coat is a high polymer base designed to provide enhanced performance on difficult substrates. This cost effective solution is also used for its flexibility and high tensile strength on thin coat systems. It has increased water resistance and adhesion. It may be applied by hand or by spray and the use of scrim cloth may be required. This product is usually stocked for next day delivery, allow 3-8 days for dispatch when not in stock. K Rend HPX Base offers extremely high performance render utilizing high polymer technology and fibres. It is used on unusual substrates requiring greater flexibility and adhesion. It may be hand or spray applied and usually requires the use of scrim cloth. This product is usually stocked for next day delivery, allow 3-8 days for dispatch when not in stock.